See that? 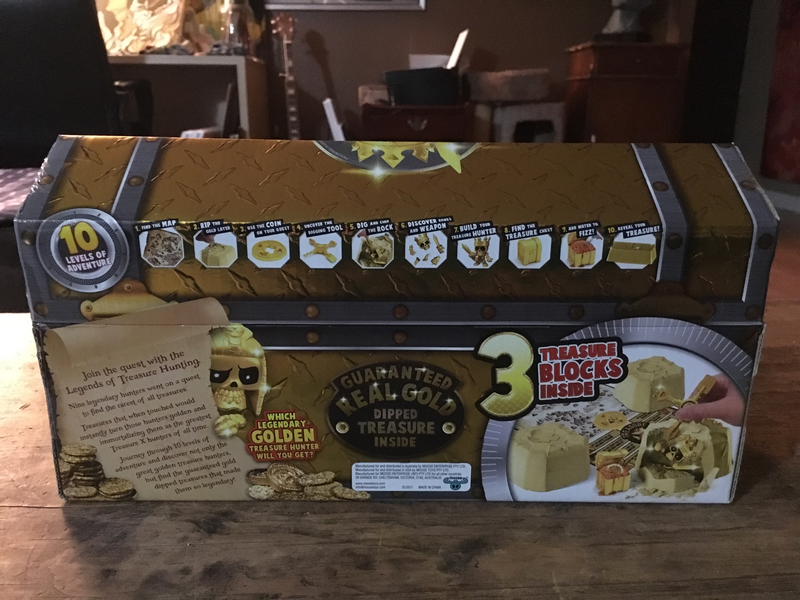 That’s the Treasure X 3-pack! They showed up all of a sudden, with GUARANTEED GOLD, and… well. Yeah. I’m surprised that the gold pieces aren’t actually super-rare, ya know? 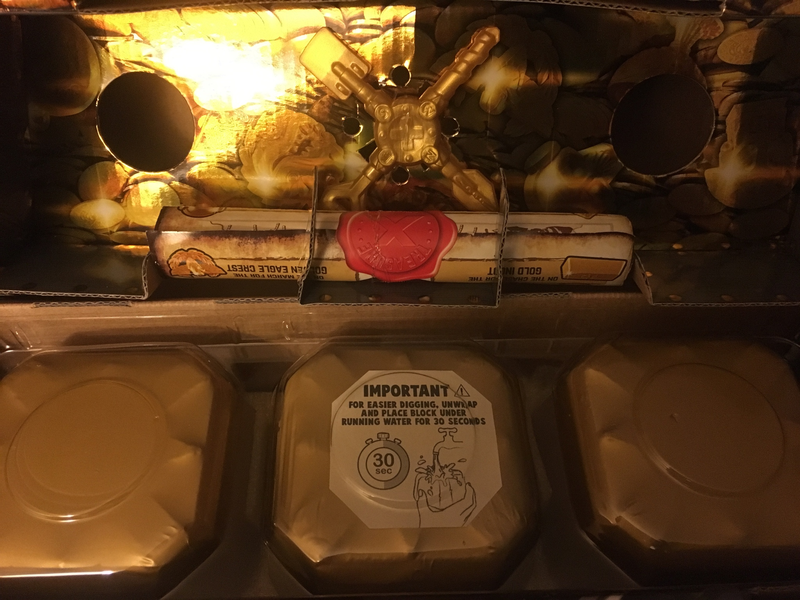 Well, I snagged a few of ’em, and I can report on what’s inside! 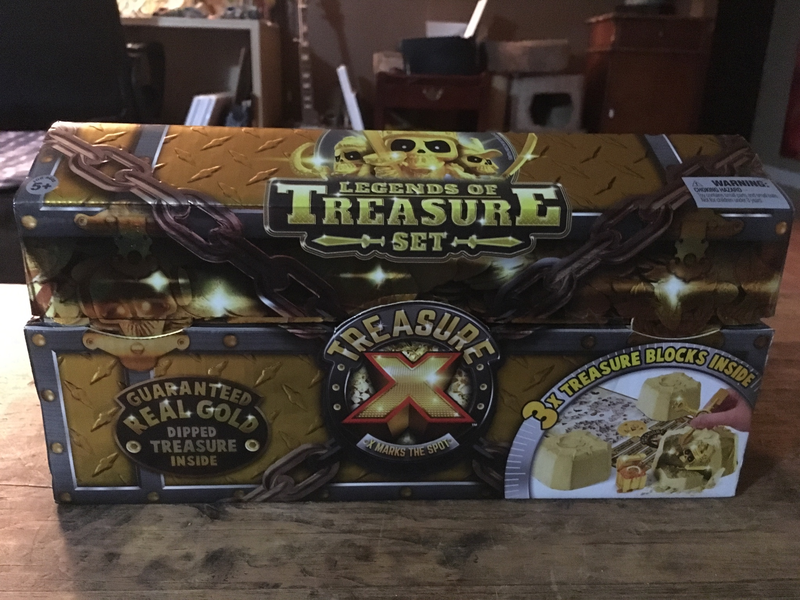 The box is pretty lavish for cardboard Moose understands that presentation is what makes Treasure X work, so they’ve gone strong with it. 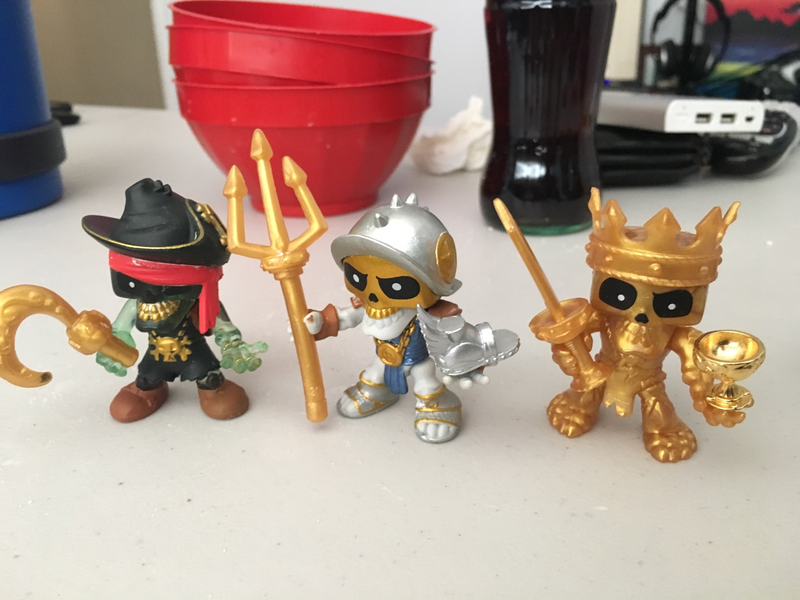 There are only three different 3-pack assortments, with nine figures total. That’s the spoiler! 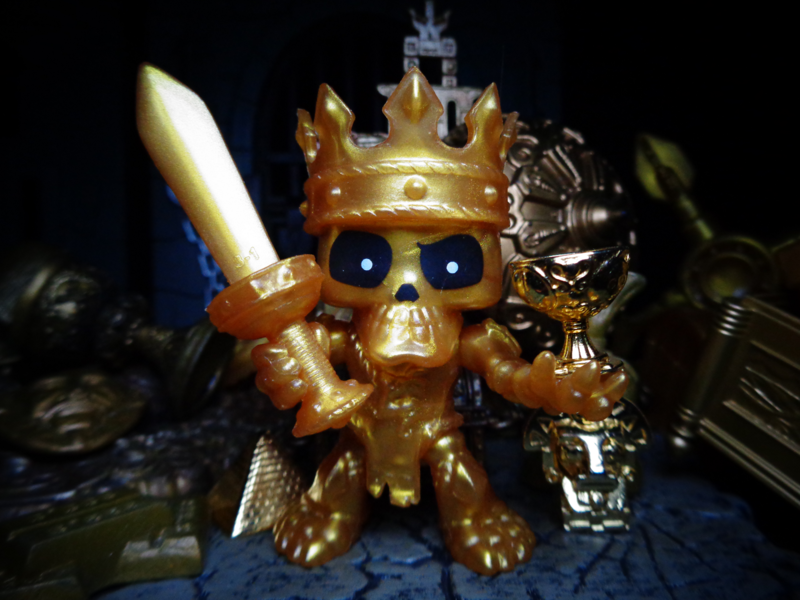 Notably, Goldcrown and Loot-Loot haven’t been found in regular packs (one figure from each set has been “missing”), though Goldblade is fairly common. 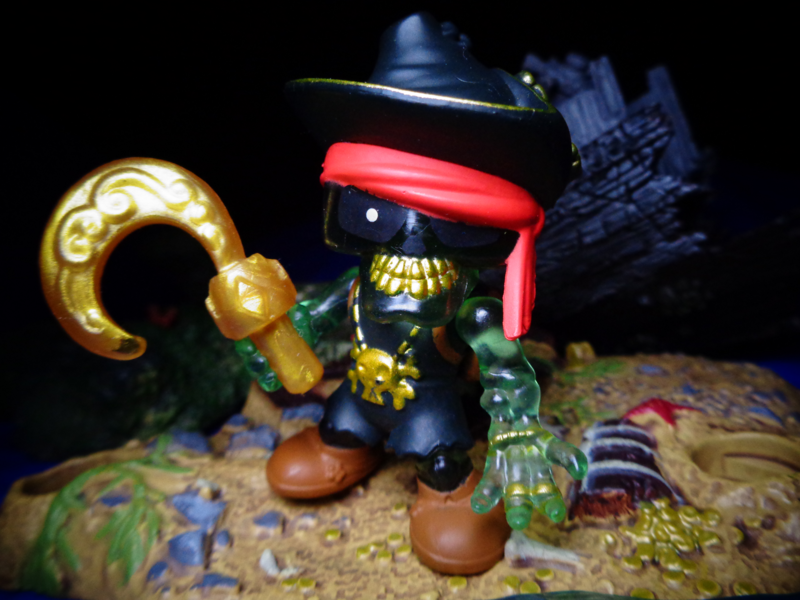 Yes, I lost Goldhook’s treasure. But after taking these photos, I ended up getting a double, so it all evens out. 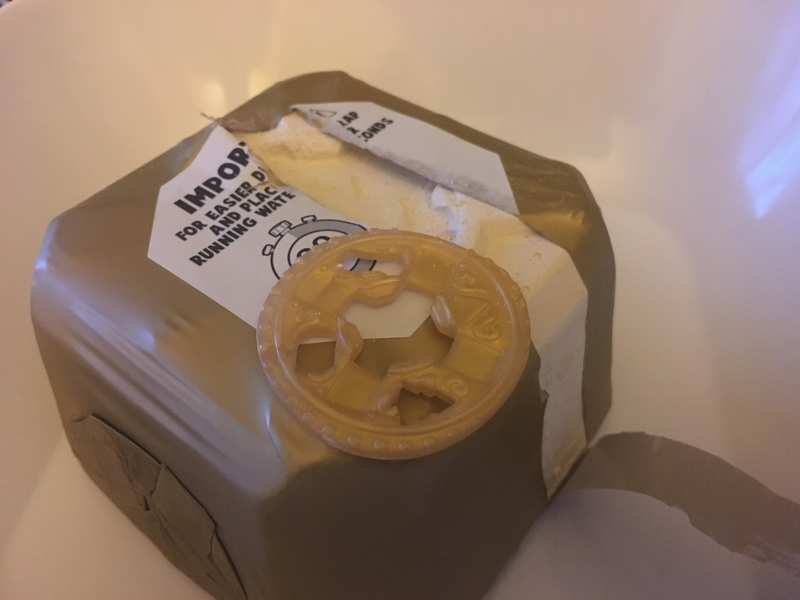 By the way, the coin is gold, too. 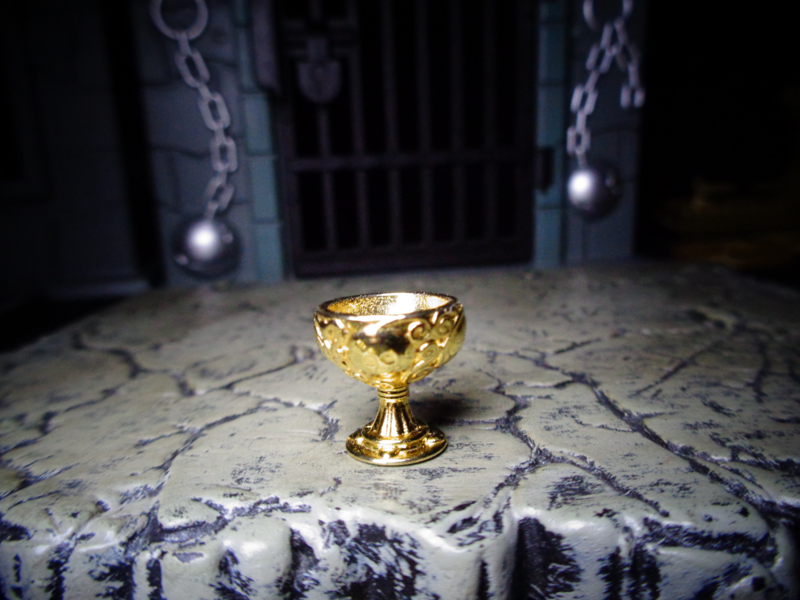 King Goldcrown is awesome in gold, and his olden grail(erm, I mean goblet) is cool, as well. 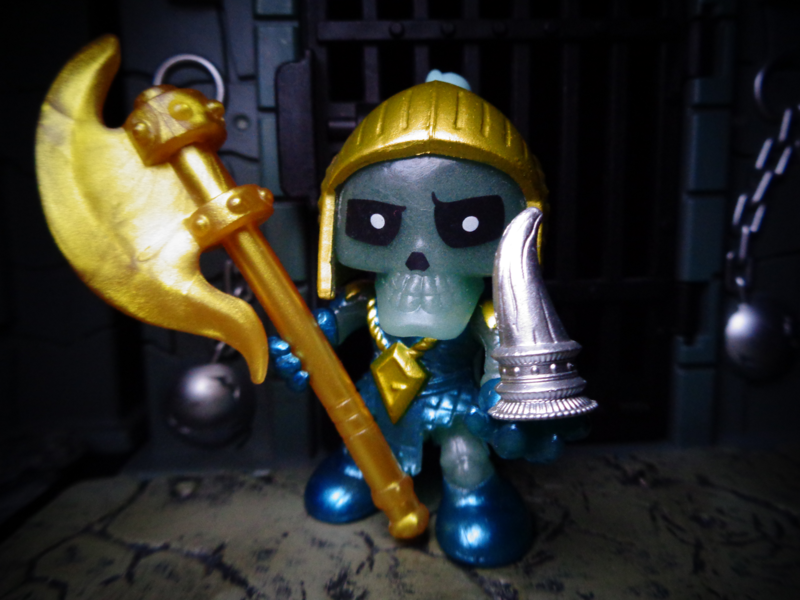 He’s probably the best of the gold-colored variants. Seriously. He’s so nice that I’m going to use this image as the last one in the review, so that if you post the link on Facebook, that’s the preview you’ll get. Yes, seriously. It’s hard to see, but there are tiny skulls engraved on that goblet. 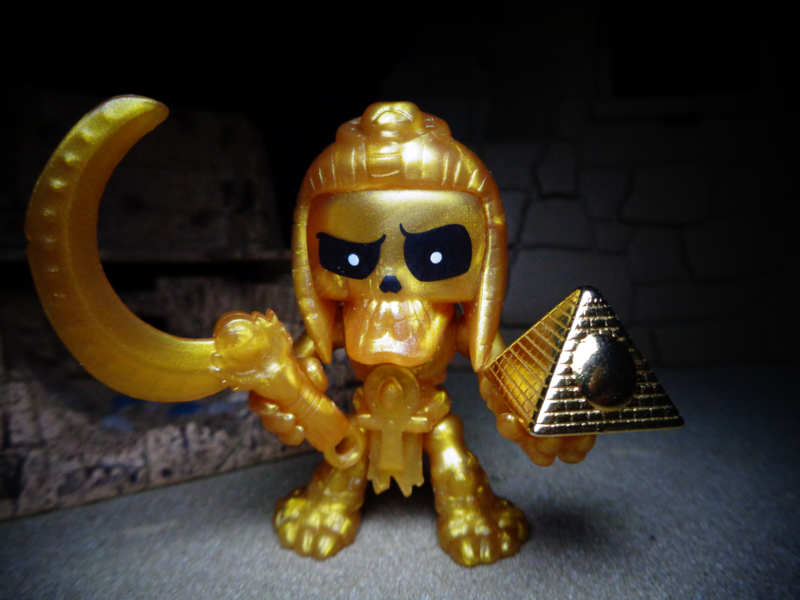 Pharaoh Loot Loot looks pretty good in gold, too. 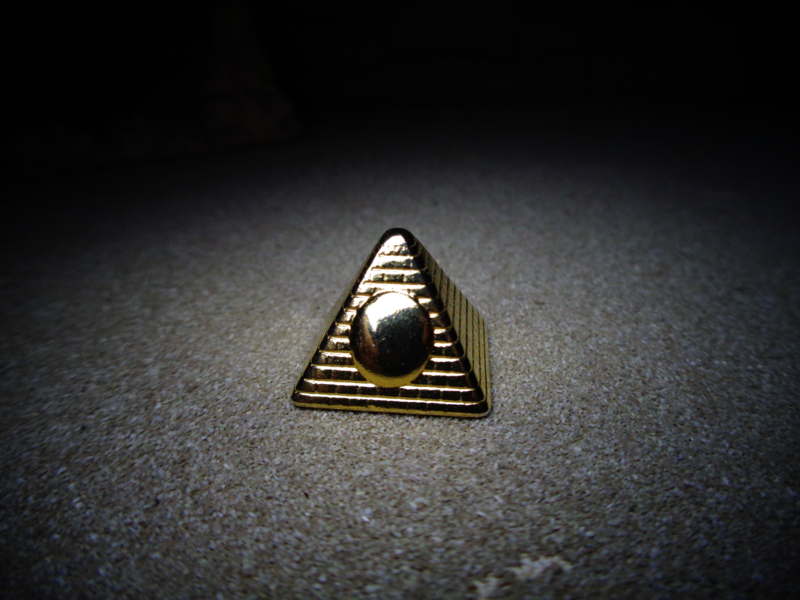 And man, that pyramid is pretty big. You know, these would make great Monopoly pieces. Yeah, I lost his treasure. Some friends and I were having fun opening the set, and we made a mistake, hah. Either way, since these 3-packs are predetermined, all I had to do was wait until I ran into my first double. 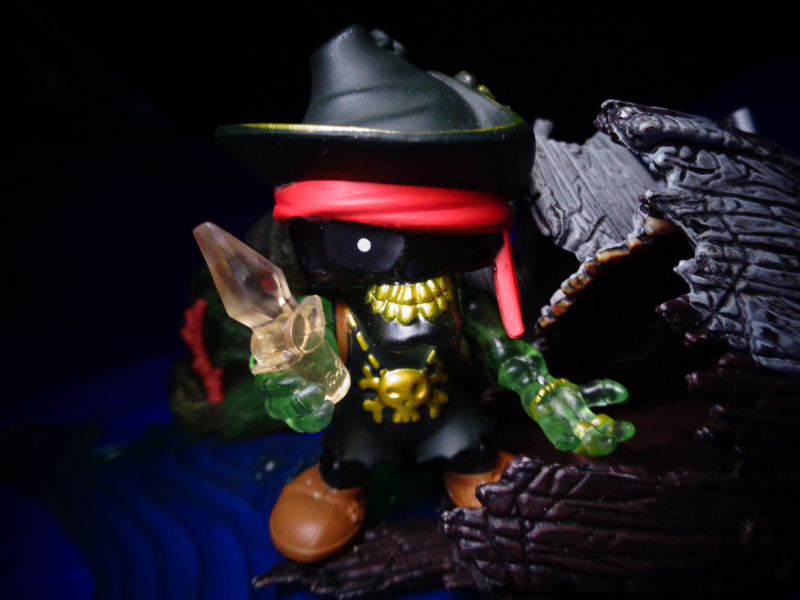 The Crystal Dagger is one of the few treasures that can be held in either hand! 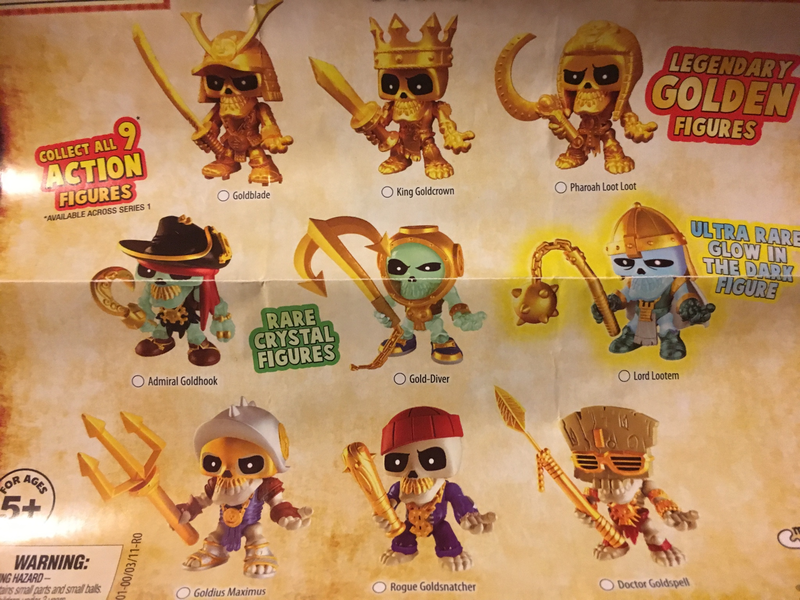 Anyway, let’s look at a few more random figures, since aside from those gold guys and their treasures, there isn’t much more to say about the 3-pack. Master Goldsword’s Haunted Lantern can be held on top of his hand, or dangling like so. Also, he does not have a sword. Sir Goldaxe’s dragon claw is another of the larger treasures, which means that “ordinary” King Goldcrown would come with the Ring of Giants.” You can kind of tell which treasures go with whom on the regular map. 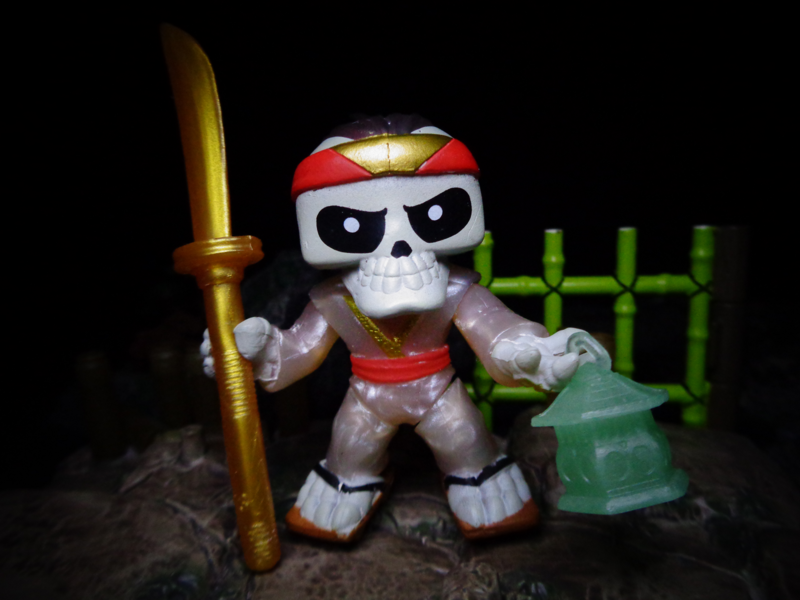 Being a mummy, Gold Cursor has green “skin,” which makes him another new color scheme (bone/white, crystal, glow, gold). 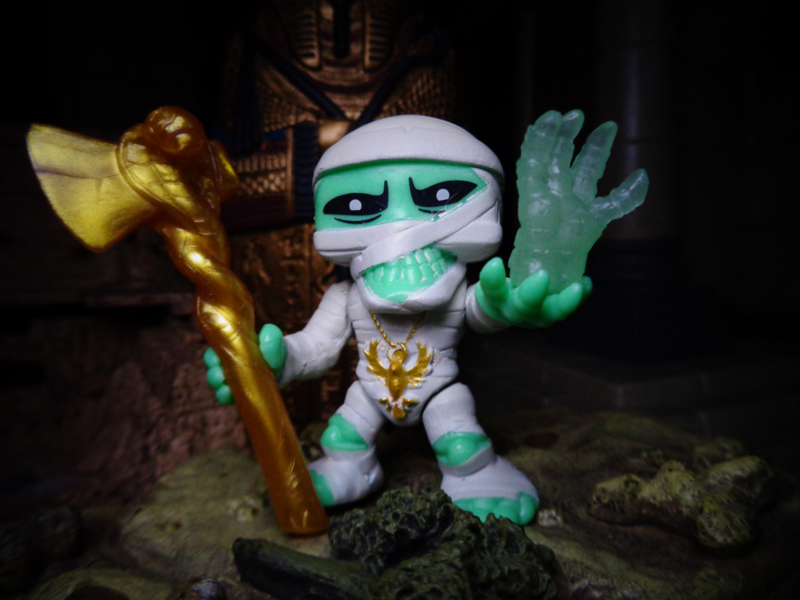 Also, his treasure, the Mystical Mummy Hand, glows in the dark and is sculpted just like one of his hands, except that it’s wearing a ring. Cool continuity!